The Toronto International Film Festival kicked off this week and this year's film roster features a number of films based on Indigenous stories. 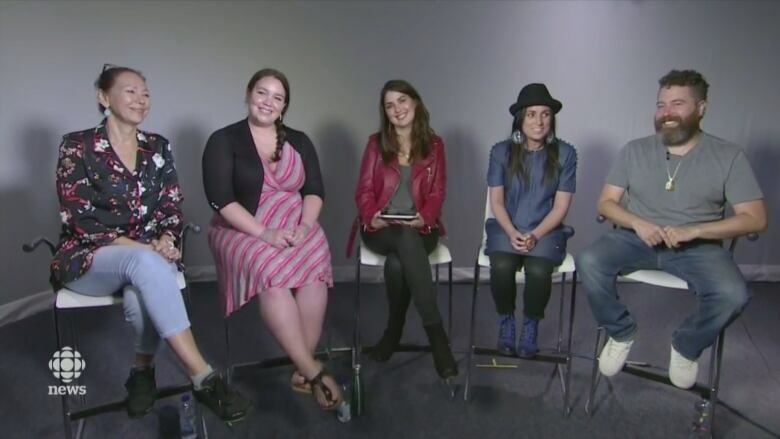 CBC’s Rhiannon Johnson sat down with a panel of Indigenous filmmakers from across Canada. The Toronto International Film Festival kicked off this week and this year's film roster features a number of films based on Indigenous stories. There has been debate around who has the right to tell Indigenous stories and the importance of having Indigenous people involved in the creative process. CBC's Rhiannon Johnson sat down Friday with a panel of Indigenous filmmakers from across Canada who have acted, directed or produced some of the films with Indigenous narratives at TIFF this year. "I grew up in a time when it was so normal to see other people telling Indigenous stories," said Stacey Aglok-MacDonald. Aglok-MacDonald is an Inuk producer on the feature film The Grizzlies, which takes place in her home community of Kugluktuk, Nunavut. "I'm really proud to be here today and that we are finding our voice and we are ensuring our stories more and more are being told with our own voices." Sgaawaay K'uuna: Edge of the Knife, a feature at this year's festival, is the first film do be done in the Haida language. Gwaai Edenshaw was a co-writer along with Helen Haig-Brown. The pair also co-directed the film. "I think we have a responsibility when we deliver art, to deliver the best piece possible. That can often involve getting the best people," said Edenshaw. "We don't have a huge tradition of filmmaking on Haida Gwaii, so in some key positions we brought in either non-Native or Native people from outside of our community to take on those roles." 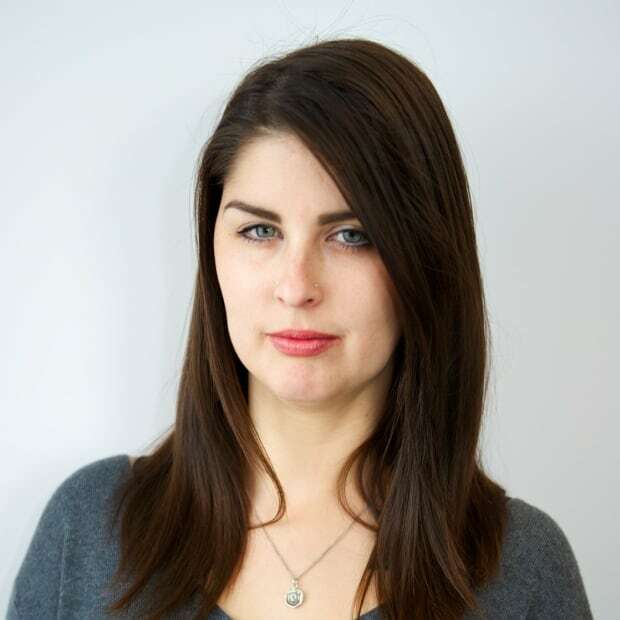 Amanda Strong is a Michif director, producer and owner of Spotted Fawn Productions. Her stop motion animation films have screened at film festivals across the world including Cannes, TIFF and the Ottawa International Animation Festival. her short film, Biidaaban is screening at the festival. "It's important that we are in control of what we do and who we work with, even though some of our collaborators, based on certain skill sets, aren't always going to be Indigenous," she said. "If there's a specific nation involved, it should be as close to that as possible. There's so many nations and diversity, and it's important to honour that." Tina Keeper, a Cree producer and actor based in Winnipeg, is one of the producers of the adaptation of Joseph Boyden's novel Through Black Spruce. She also appears in Darlene Naponse's Falls Around Her, which is also screening at the festival. "There is a standard that comes from our communities and our cultures that the industry has to respect," said Keeper. "I think that's very important to establish.... It's overwhelming when you have to deal with confrontation around those issues but we need to create safe spaces for ourselves in whatever capacity we're making films."